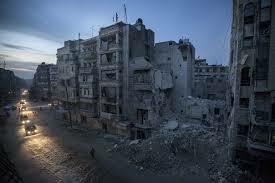 Syria’s civil war rages on with ad hoc arrangements for civilian law enforcement in rebel-held areas. Debates about the relative merits of arming the Syrian opposition should not hijack attempts to promote accountability and the rule of law. Over the course of the last two years, human rights violations have emerged as one of the most compelling social problems in Syria. The conflict has resulted in more than five million internally displaced persons, constituting about one quarter of the population. More than one million refugees have fled the conflict, seeking to avoid the fate of over one hundred thousand civilians killed to date, some allegedly by chemical weapons. Hundreds of thousands of civilians remain imprisoned across the country. This is a mounting humanitarian and geopolitical crisis that requires a strategic approach aimed at rebuilding the rule of law and re-establishing democracy. The question has been repeatedly raised as to whether it is too early to start looking at transitional justice. It is debatable whether there can be transitional justice before a political transition. The pressing need is peace and security and arguably this must come first and precipitate a process of state building through the re-establishment of the rule of law. However, considering that the conflict in Syria is unlikely to end anytime soon, it would be irresponsible to wait any longer. In many parts of Syria, often termed ‘liberated’, transition is already underway with some areas self-governing for more than a year. The only question that remains is what can be done now to enhance community safety and promote judicial norms and respect for the rule of law? In April 2013, we held a meeting in southern Turkey and brought together a group of judges, lawyers, civilian council leaders and police chiefs from Aleppo, Idlib, Raqqa, Hassaka, Dara’a, Hama, Deir Ezzor and Damascus to discuss transitional justice and try to understand what that process means for the Syrian people. During this meeting, it became apparent that the immediate need was to establish security and a civilian administration based on the rule of law. Civilian governing structures that have emerged in large swaths of the liberated areas have been imploring the international community to provide much needed aid to help secure the foundations of a civilian state. During this meeting, we inadvertently stumbled upon a golden opportunity to address issues of justice, accountability, transition and reconciliation simultaneously. It has become apparent that there is a pressing need for the establishment of civilian police and civilian courts. The need is principally to maintain law and order and to address impunity within the liberated areas, to avoid the sort of lawlessness and criminality that is now rife in areas across northern Syria. Funding the establishment of civilian police to protect civilian courts and deliver rule and order in liberated towns and villages under the command of legitimate democratically-elected civilian councils chosen to administer these areas is essential to building the foundation of a democratic Syria. It is fortunate that there are many civilian judges and lawyers that are desperate to serve the people of Syria in their professional capacities, but they lack the funding and resources to do so. They seek training on the application and restoration of the rule of law and funding for a community-based civilian police force to provide necessary security. They need civilian penal institutions to hold accountable those persons sentenced to terms of imprisonment by civilian courts. This in turn will become the first step in providing an overarching transitional justice and reconciliation plan on the national level. There are real debates going on within Syria as to what law to apply, be it the Syrian civil code, Shariah law, or the Shariah-inspired Unified Arab Criminal Code. But what is clear is that without support to Syrian legal professionals within Syria then it will be Al-Haya’a Al-Shar’iya, the judicial arm of the extremist group Jabhat al-Nusra, that will seek to lead in the provision of justice. The fate of fifteen year old Mohammad Qataa, shot in the face and killed by Islamist extremists for allegedly insulting the Prophet, provides a graphic illustration of this alternate vision for justice in Syria. Consequently, the question as to when the process of transitional justice, or, more importantly, the reform of the justice and security sector, should start has a very simple answer. It must begin now. The international community must assist in the long-term resolution to this problem ensuring that the future democratic institutions in Syria have the resources, skills and competences to cope with the monumental, generational task that now aways them. Debates about the relative merits of arming the Syrian opposition should not hijack attempts to promote accountability and the rule of law. A programme to train, equip and capacitate legal professionals and police officers in order to promote the rule of law in all liberated areas is critical. Syrian legal professionals and rule of law practitioners must be given the tools and resources to administer their own institutions and determine their own future. What has gone unreported thus far is the remarkable and courageous work done by Syrians on the ground, against all odds, to establish civilian courts, police and local administrative councils. The Syrian people, epitomised by local communities in cities, towns and provinces, have done the hardest part of the work by concluding written agreements with military councils, Islamist battalions, paramilitary groups and armed brigades ensuring that such armed formations refrain from interfering with civil administration. In Idlib, for example, we were able to recently observe the courage of lawyers and civilian police that are working under pseudo-democratic councils recognised by the Syrian people with formal agreements with military and paramilitary groups ready to function as part of a modern civilian state, despite being under constant military attack. In Aleppo, under the leadership of a brave defected former police General, a community-based civilian police service has emerged that is over a thousand strong and operates from forty police stations. It was established at the request of local communities and is delivering a coordinated and competent policing service against tremendous odds. There is a critical need for civilian law enforcement. The police in areas free from the ruling regime must be provided with basics such as uniforms, boots and the means to investigate crimes. They need training in modern investigative techniques. The judges and prosecutors need training in international humanitarian law. They both need salaries. The courts and the police stations need electric generators and the means to communicate and share information among themselves to enhance their coherence and effectiveness. Their requirements are basic, inexpensive and easy to deliver. This process needs to start now. The Syrian people and the international community must work together in unison. This is not an academic exercise. This is very real and whilst the international community is debating the arming of the rebels this is an area where non-lethal assistance may be provided without concern and will assist the long term objectives of rebuilding a Syrian state based on democratic principles and the rule of law. Toby Cadman is a Partner at Omnia Strategy LLP <http://www.omniastrategy.com/>, an international law firm based in London and Washington DC, a member of 9 Bedford Row International, the International Criminal Law Bureau and is an international criminal law specialist <http://www.omniastrategy.com/> . The views expressed here are the authors’ own and do not necessarily reflect those of RUSI.